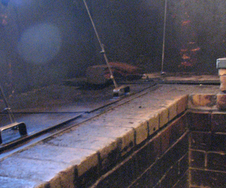 Smoking in Authentic Brick Pits in Austin for 25 years. 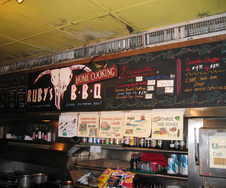 Ruby's has been family owned and operated since 1988. If you're ever in the area come visit us at 512 West 29th Street, just off Guadalupe. 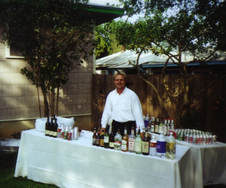 Services available include Dine-In, Take-Out & Catering. Thanks for stopping by, we hope to see you soon. 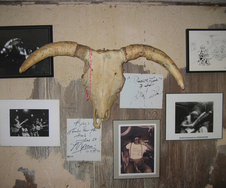 Saturday, November 10th, sale of Ruby’s memorabilia and Luke Zimmermann’s art upstairs at Antone’s, 305 E. 5th; valet parking at Eddie V’s. 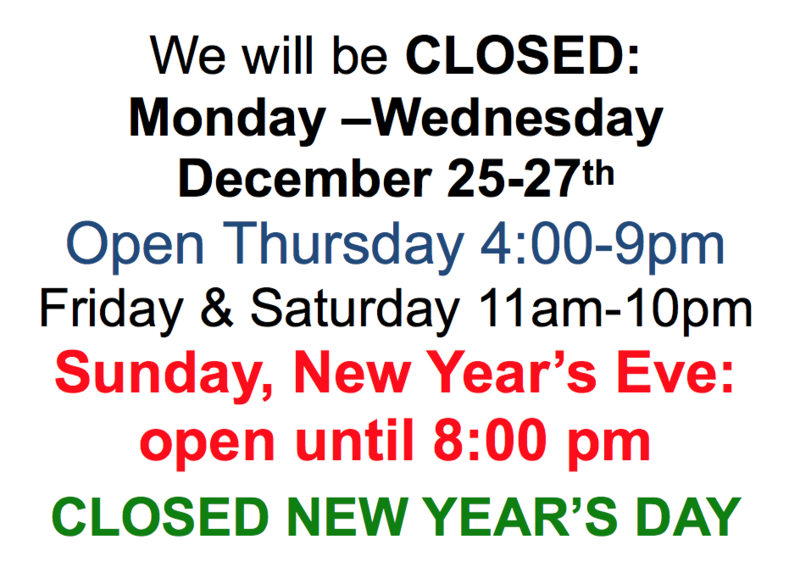 Ruby’s closed on Saturday, February 17th, 2018. 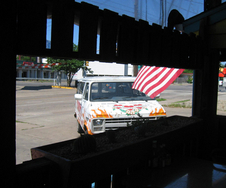 Thank you all for nearly 30 years of business in central Austin. The support of the community has been overwhelming. Please enjoy the history as you check out our website. There is not a plan to re-open, but we do have jars of sauce to sell, a few t-shirts remain, and there will be a cookbook forthcoming. 4 days in advance of pick up. 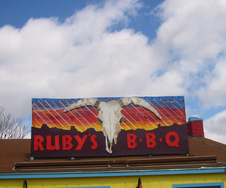 FIELD REPORT: RUBY’S BBQ, by RL Reeves Jr.
Book your 2016 and 2017 catering events here! 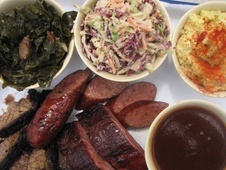 Ruby’s BBQ offers real pit-smoked barbecue with both traditional and non-traditional sides, as well as Cajun and vegetarian inspired dishes. We hope you enjoy the good food! a modest price. This is not an easy task, given the meat intensive focus of our menu. 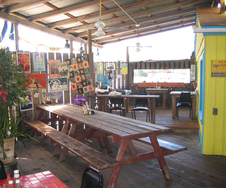 Through the years we have evolved; and the menu has grown with the addition of salads, tacos, Cajun food, vegetarian items, and soup and side dish specials. 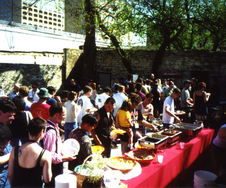 Our eclectic clientele from the UT area, Hyde Park, West Austin, “Q” addicts from South Austin, musicians, film aficionados, and many international visitors have encouraged us to expand the menu. 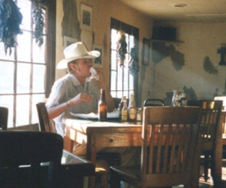 (Make sure to check out our many photos and autographs while at the restaurant!) 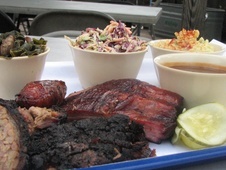 Despite the growth, we have tried to main- tain our down home BBQ roots, which have always been greatly nurtured by the Antone’s blues folks. We are proud to serve ya’ll. Watch for more variety in the future! For meat preparation, we prefer the tried and true slow cooking method, using oak wood in our brick and mortar pits. (Stop by and see them!) 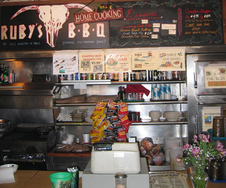 Many popular BBQ joints use Southern Pride or similar large smokers. These rely on gas or electricity and little wood, but they do smoke lots of meats at once. 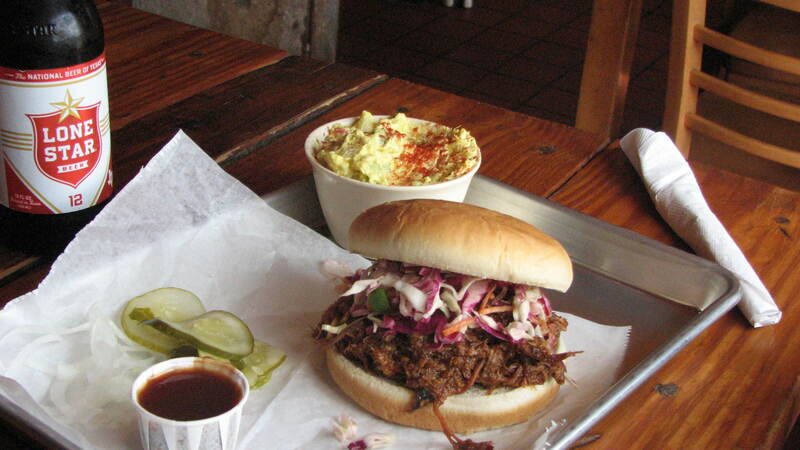 Our slow-cooking method requires more human intervention and care. We feel the seasoned brick pits result in the unique taste and texture of a backroads Texas product. 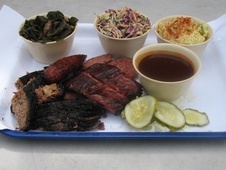 Our all natural beef brisket is hormone- and steroid-free. The cattle are fattened without the use of hormones and no antibiotics are used. While this beef is leaner (20-25% less fat) than other U.S. beef, it is juicy and retains a great smoky flavor. 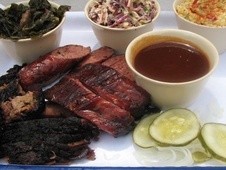 After the briskets are prepared with a dry rub of mixed spices, they are smoked with oak wood in brick pits for 12 – 24 hours. We invite you to taste the difference! All of our food is made from fresh, not canned or frozen, ingredients whenever possible. 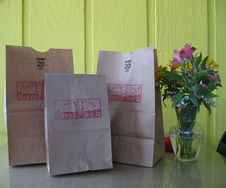 And, to insure freshness, cooking and prepping are done at Ruby’s daily. We think you’ll enjoy our homemade BBQ sauce, which we’ve been bottling since 1994. 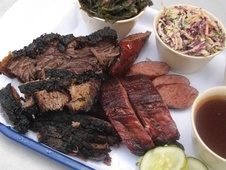 Visit us soon for a taste of real Texas BBQ!